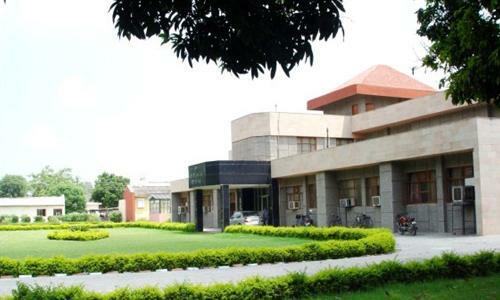 An Outline: The Regional Station at Karnal established in 1923, is one of the first Stations of the Indian Agricultural Research Institute (IARI), New Delhi. 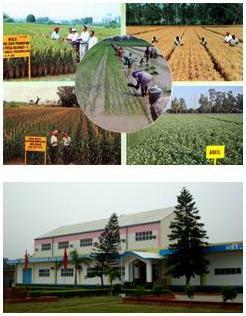 This premier Agricultural Institute of the country has evolved a number of high yielding crop varieties. And this Station has been a major partner in spreading and sustaining the green revolution in the country through seeds of high yielding improved crop varieties. The Mission: To serve the Nation with High Quality Seeds and Planting Materials. The Location: The Station is located in Karnal on National Highway No. 1, about 130 km north of Delhi. The location stands at 29.1-29.5o N and 76.3-77.1o E, at an elevation of 243m above mean sea level. It has about 106 ha of land, out of which 90 ha is under cultivation. The climate is sub-tropical with mean maximum temperature ranging between 34-39o C in summer and mean minimum temperature ranging between 6-7oC in winter. The mean annual rainfall is around 744 mm. The soil is clay to clay loam, deep, well drained and productive for growing a large variety of different crop. Production and distribution of high quality Breeder and Labeled (Pusa Beej) seeds of different crop varieties of cereals, pulses, oilseeds, forage crops and vegetables. Propagation of planting material in horticultural crops. Nucleus seed production of selected crop varieties. Integrated pest management in seed crops. Seed production techniques including hybrid seed production.